The things in life that require you to call a residential locksmith can run from silly to scary. We’ve all lost keys, and many of us have broken keys off in locks when we’re in a rush to get out of the weather or to put away groceries. Also, if your keys are stolen, you need a professional to get you in your home and to immediately rekey all entrances. No matter your reason, your home will be quickly secured by South Austin Locksmith Pros. You can put your mind at ease knowing that we have technicians capable of repairing and installing any type of lock system for your home and we take care of home lockouts faster than anyone else. Our licensed, bonded and insured professionals will be at your house within thirty minutes no matter what time of day or night you call. We are a full-service company ready to help you secure your home and family no matter the reason. Do you have new construction needing first-time lock installation? No problem! Need service for a lock change for the home you just bought? We’re on our way! Looking for help securing your home after a break-in? We’ll be right there! The need for an emergency locksmith is common in our industry, which is why we offer 24-hour services. You won’t need to call an 800 number to get help fast. We are a local company using skilled technicians that know the area. If you are planning on rekeying locks while you wait to close on a new house, set an appointment with us and we will meet you at your new house before you move in. Your new space will be secured for you and your family before you even get settled. And if you are interested in having peepholes installed, we’ve got you covered. If your front door is in perfect condition, except for the key that’s broken off inside the deadbolt, give us a call. Broken key extraction is usually a quick fix and we’ll be there in a half an hour or less. If stuck keys are becoming a common occurrence, it may be time for a new deadbolt (they can get stiff with age) or a new smart lock system. Contact us for a quote on security cameras and other high-tech safety enhancements. These days you can open your front door with your phone, and it is simple and inexpensive to install. Not only that, having a camera focused on your front door tells people who have no business being there that they should move on. And don’t forget to ask us about our complete range of mailbox lock services too! South Austin is a great place to live! But everyone once in awhile, something happens that requires the help of our mobile team. We guarantee upfront pricing, friendly service, and expert solutions to all your problems. Whether you are visiting on vacation, just moved to the area or you have lived here for years, be sure to check out all of the awesome events happening at Zilker Park! 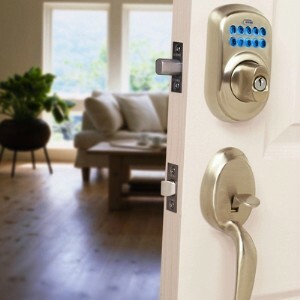 Residential Locksmith https://south-austin-locksmith.com/residential/ 3.6/5 based upon 14 reviews.